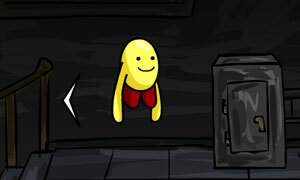 Xolga and Mr. Toko Again - Episode 2 is another point & click, escape game by mochimedia. Xolga and Mr. Toko find themselves in another mess. Xolga's trapped in a vault and Mr. Toko must save him! Good luck and have fun.